I’ve been a sewing fool! I’ve been working on projects like crazy lately – Anna and Elsa dresses, slippers, a new church dress for my daughter…but when the opportunity to sew for myself came up, I jumped at the chance. 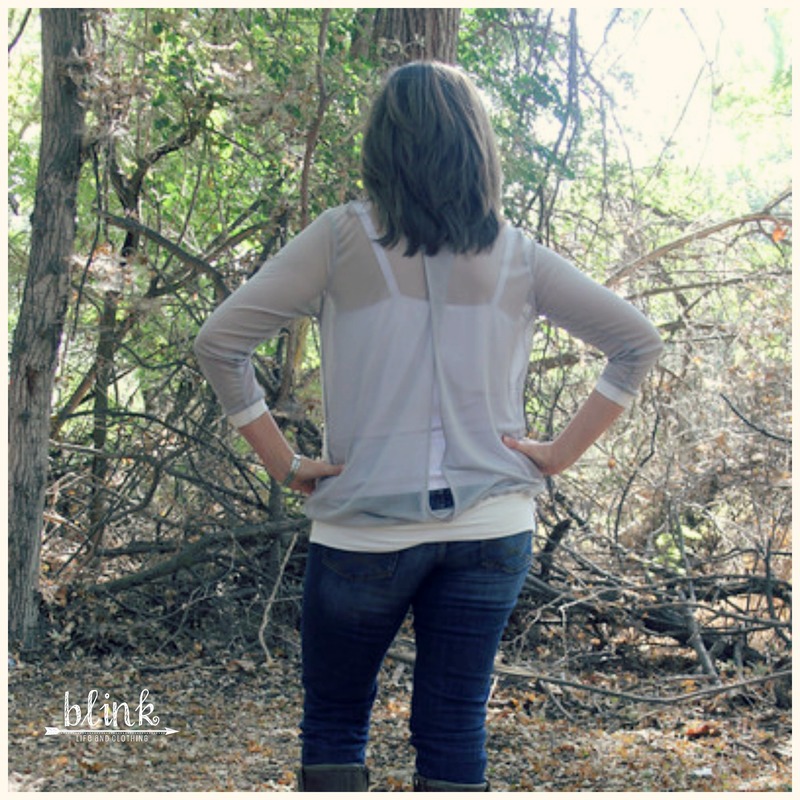 Kimberly of Straight Stitch Designs posted a sneak of a women’s top she would soon be testing and I loved it. I immediately commented on her Facebook page telling her I would love the opportunity to test. I had recently been in another designer’s test group where Kimberly was a tester as well and she provided great feedback (like the kind where you have to go look up the definition of a sewing term to see what she was referencing, great) so I was pretty sure she’d produce a great pattern as well! We received the pattern to begin testing and I jumped on it. I had some cheap black fabric of questionable heritage (there may have been some polyester in its lineage) that had the appropriate amount of stretch so I dove in. The pattern taped up quickly and it matched up perfectly! If you ever taped a pattern together before, let alone a first round draft, you know that is a big deal. Once cut out, this is SUCH a fast sew. Seriously fast. I love that you don’t have to turn and hem the cuffs and bottom of the shirt – they are all banded. The fit of my first go was great but it was a bit unrefined. I’m not gonna lie though, it hasn’t stopped me from wearing it; I’m not so refined either. Based on feedback and pictures of fit from all of our tests, Kimberly made adjustments to the neckline, the tapering of the sides into the waistband and the waistband itself. I also followed the instructions better for my second one and measured not only my bust but also my hips/waist. I ended up making an 8 graded down to a 6 which (not suprisingly) made for a better fit – go figure: following directions = better fitting final product! While I still need to make a couple of changes to my pictured version (I sewed this one prior to the bit of tapering at the bottom), I really love it! I even wore it to church this morning and received compliments from several people; I consider that a win! My pictured version is made out of a sweater knit for the front piece and a mesh/chiffon type fabric (again of questionable heritage, I got both of these in a stuffed remnant box – remember I’m super classy and refined) for the sleeves and back. I love that it feels kind of dressy! 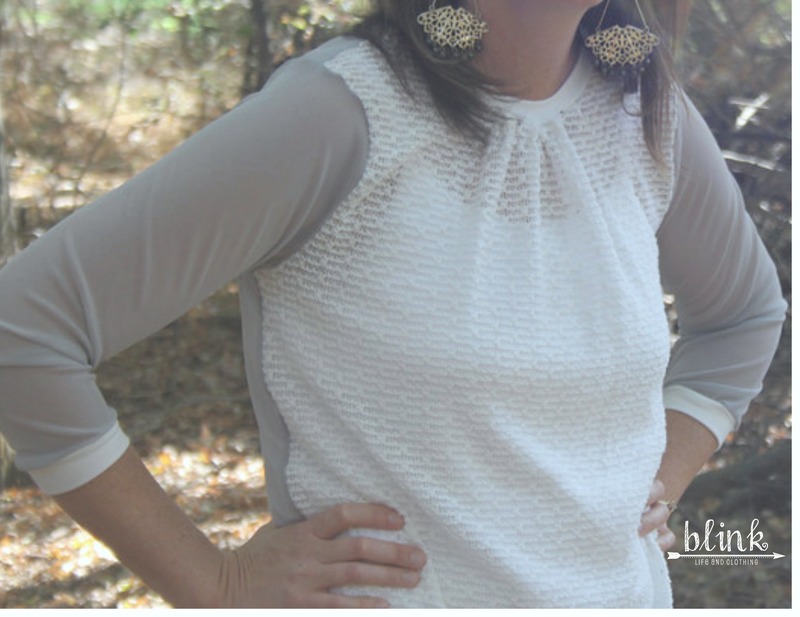 I highly recommend the Ballard top for a really quick sew for yourself; you won’t be disappointed. The pattern is available exclusively on Indie Sew for the first two weeks so hop over there and get your Ballard Top! 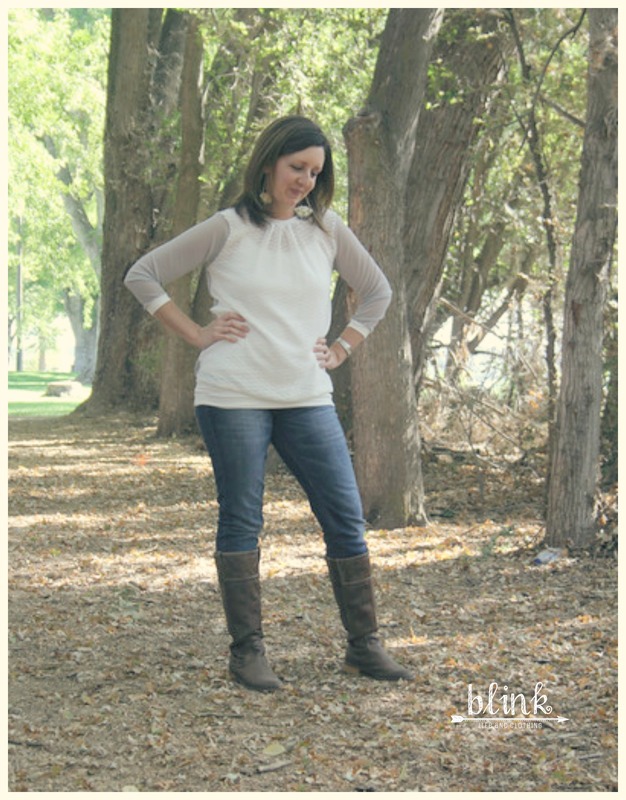 Follow along this week on other blogs to see more examples of this great top. Many thanks to my friend Susan at Three Penguins for the pictures. It was our last picture date together since she moved last week (sniff). I think I’m gonna have to invest in a remote and tripod (double sniff). Such a great top, I love the two different fabrics. Thank you so much for kicking off this first day of the blog tour. Thanks, Kimberly! I really enjoyed testing for you and the top is really great. This is a great version. I have my fabric ready and am anxious to start sewing for myself as well. You’ll love it, Donna. I’ll look forward to seeing your version!